Providing preventive, esthetic and advanced restorative dentistry to the Palm Desert area, Dr. Baumann believes that his dental patients deserve the finest and most advanced dentistry available today. He has received advanced training at the Las Vegas Institute (LVI) for Advanced Dental Studies and Loma Linda University completing a one year residency in Implant Dentistry. He is the only dentist in Palm Desert to do so. Dr. Baumann has attained fellowship in the Academy of General Dentistry, and is a long-standing member of the American Academy of Cosmetic Dentistry and American Academy of Implant Dentistry. Striving to provide exceptional dentistry for even the most phobic dental patients from the Palm Desert area, Dr. Baumann provides sedation dentistry and is a member of Doctors Organization for Conscious Sedation (DOCS). With his many hours of advanced training, Dr. Baumann is able to provide his dental patients the latest in dental services such as preventive/oral health, whitening, porcelain crowns and bridges, dental implants, orthodontics and treatment of TMJ. He is committed to implementing the latest technologies to improve comfort, accuracy and esthetics, and decrease treatment time. Please review Dr. Baumann’s expertise in smile design and restorative science and his dental and personal background. Dr. Baumann completed his post-graduate training at the Las Vegas Institute (LVI) for Advanced Dental Studies by completing the Master Aesthetic Dentist program. Dr. Baumann is among only a handful of California dentists to have completed the training. Dr. Baumann has also studied Posterior Aesthetic Dentistry, Practical Occlusion, Anterior Composite Restorations, Advanced Orthodontics and TMJ at the LVI. Dr. Baumann recently completed a one year mini residency in implant placement and implant restoration at Loma Linda University Medical Center. He looks forward to sharing his knowledge, experience and commitment to excellence with you. Dr. Baumann is also currently studying under Dr. Clayton Chan refining his techniques in Neuromuscular Dentistry. In 1982, Dr. Baumann began his practice in Palm Desert, California and shortly afterwards joined the staff at Eisenhower Medical Center in 1988. He graduated from the University of California, Irvine and earned his DDS at Georgetown University School of Dentistry. After receiving his degree, Dr. Baumann completed his residency at Loma Linda University Medical Center in Advanced Dentistry and the Veterans Administration Hospital, specializing in hospital dentistry. In 1992, he became one of only four dentists in the Coachella Valley to attain fellowship status in the Academy of General Dentistry. Dr. Baumann remains very active in the American Academy of Cosmetic Dentistry, as well as the Las Vegas Institute for Advanced Dental Studies. 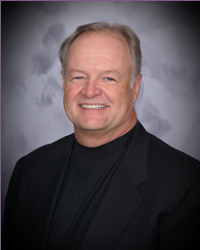 Dr. Baumann currently practices preventive, cosmetic and implant dentistry in Palm Desert. When Dr. Baumann isn’t busy at the practice you can usually find him busy with his wife of 37 years and their four children Chelsea, Nicholas, Palmer and Makena as well as his Granddaughter, Maddy. He is very proud of the fact that Nick has joined to come practice dentistry with him so that he can pass down his years of knowledge and experience. After family and dentistry, Dr. Baumann's interests include golf, scuba-diving & skiing. He travels to play in amateur golf events. He is the dentist for many PGA, LPGA and nationwide golfers.